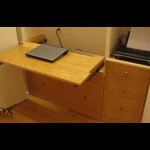 This birdseye maple desk was a unique and challenging project. We were able to create an efficient and attractive workspace with the birdseye maple veneer and the hinged, pull-out desktop. You can see the desk in the open position here. 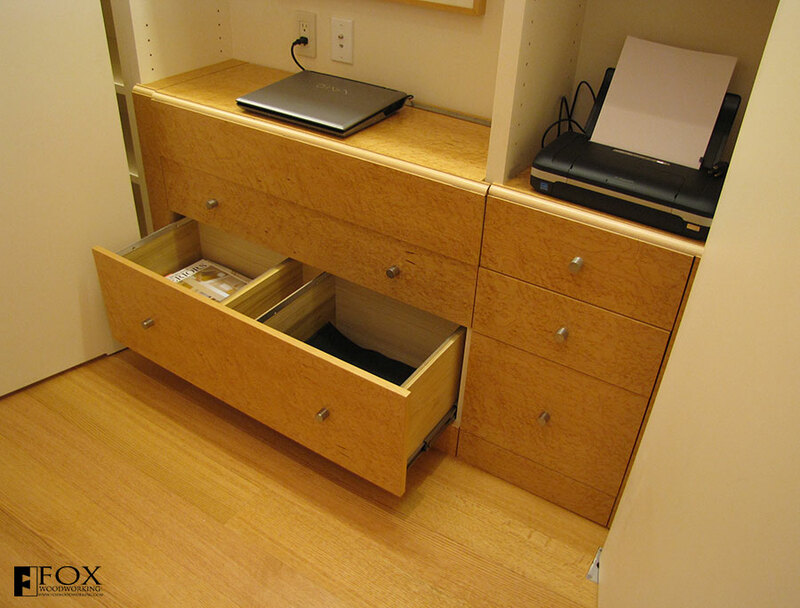 The solid wood drawers, which ride on undermount, soft-close slides, offer plenty of storage. 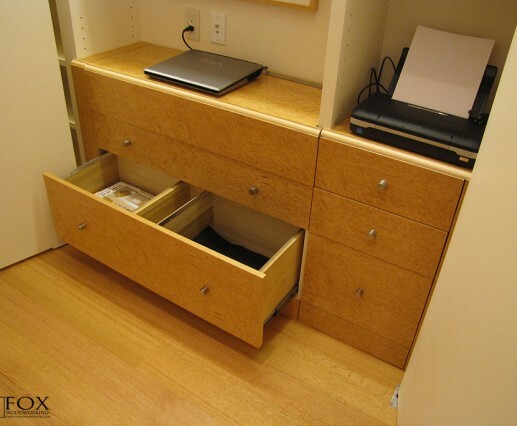 The bottom drawers are built to accept hanging file folders while the other drawers handle all the other office supplies.